See what our parents and students have to say about our classes! 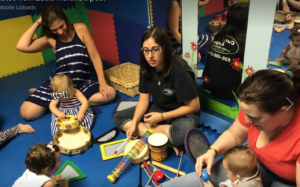 “Our granddaughter is 21 months old and this is her second semester of Music Together®. Her enthusiasm for music delights us. Now when she comes to visit, she points to the CD player & says “song, pwease.” Recently she went shopping with her other grandmother who was visiting from Missouri. They were in Target when she spotted a musical toy, saying “Chia, Chia” & started to dance. She was referring to her teacher, Miss Lucia. 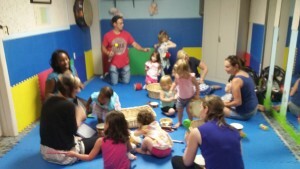 “I love the music together classes…It’s quality educational time for my son (and myself! )…And the best part is when I give something to him at home and he answers by singing “Thaaaannnkkkk yyouuuuu!